The original Ginza Lion in Ginza, Tokyo that was established in 1899 was originally named “Yebisu Beer Hall”. It was meant to be the sales division of Sapporo beer, but it became so popular that it was later renamed Ginza Lion. 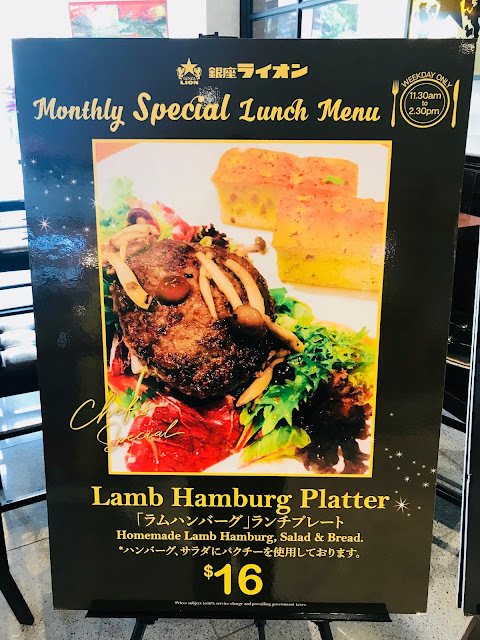 Ginza Lion offers value-for-money Daily Lunch sets from 11.30am – 2 pm. You can look forward to items such as Grilled Salmon [$16], Roast Chicken [$12] and Bolognese [$16]. 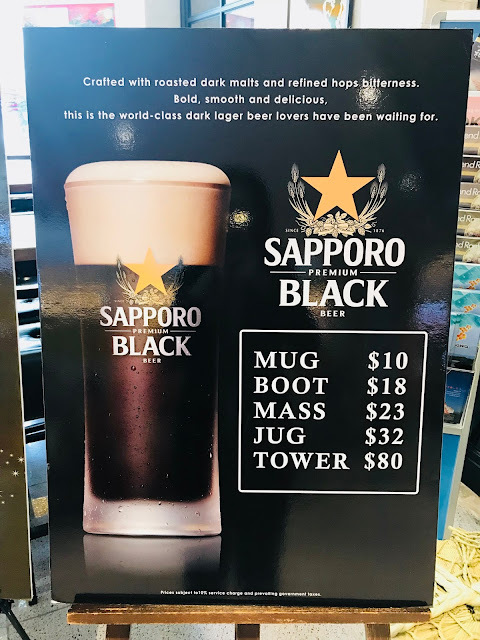 Sapporo Premium Beer and Sapporo Premium Black Beer are served from the tap, in Mug [$10], Boot [$18], Mass [$23], Jug [$32] or Tower [$80]. 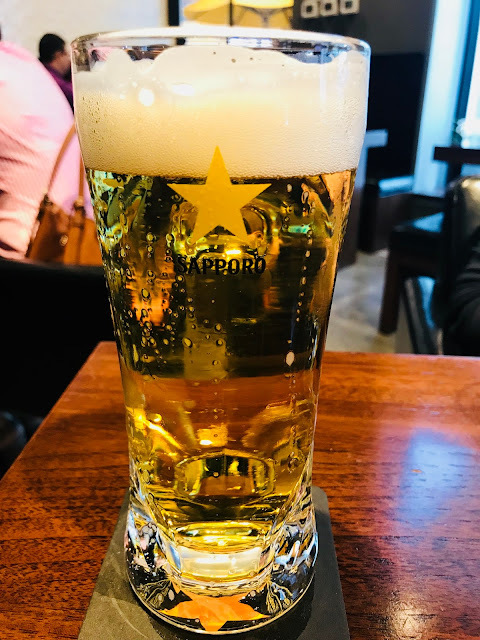 I am not very fond of beers because I don’t like the bitterness of beers, but since I am in a beer hall, I thought I should at least give the beer a try so I got myself a mug of Sapporo Premium Beer [$5.99 during Daily Lunch, otherwise $10]. I was pleasantly surprised to find that it is not bitter at all. 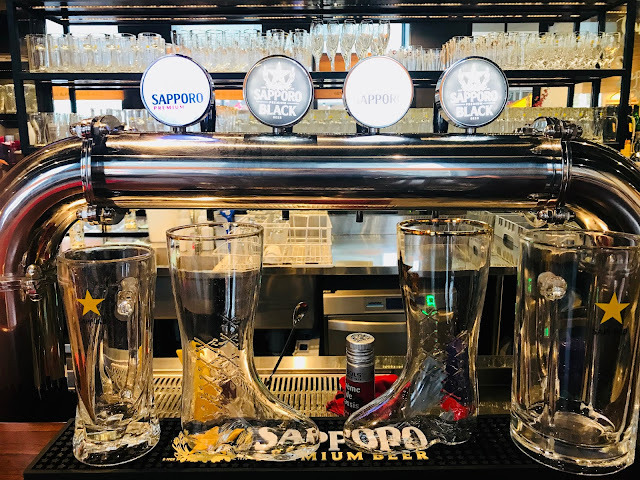 This is due to Ginza Lion’s “in one action” way of pouring the beer, in a fast and steady stream. The bitterness of the beer is sealed by the natural foam that forms, making it smooth and crisp with a dry finish. Black Angus Roast Beef 150g [$18] is well cooked with a beautiful pink centre. You can’t choose the doneness for this beef, it is served at medium doneness. 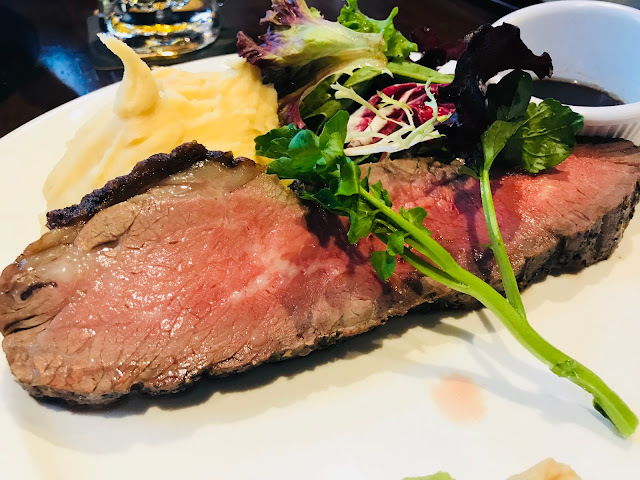 Accompanied by mashed potato, salad, freshly-grounded wasabi and radish, the steak is tender and juicy. If you find 150g of beef too much, you can always get the Black Angus Roast Beef Salad [$12] instead. 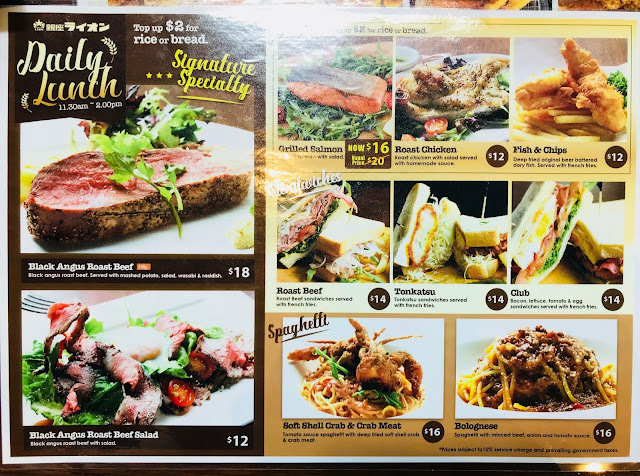 Tonkichi is a Japanese restaurant that has been serving tonkatsu and other detectable Japanese cuisines in Singapore for over 20 years. 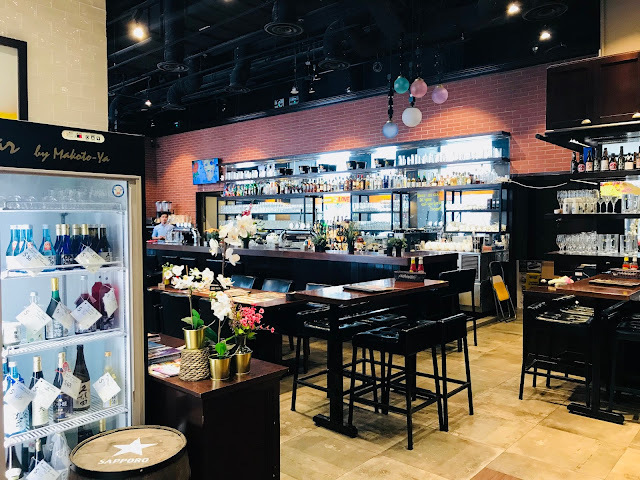 You can now get to savour Tonkichi’s awesome food at the comfort of Ginza Lion. 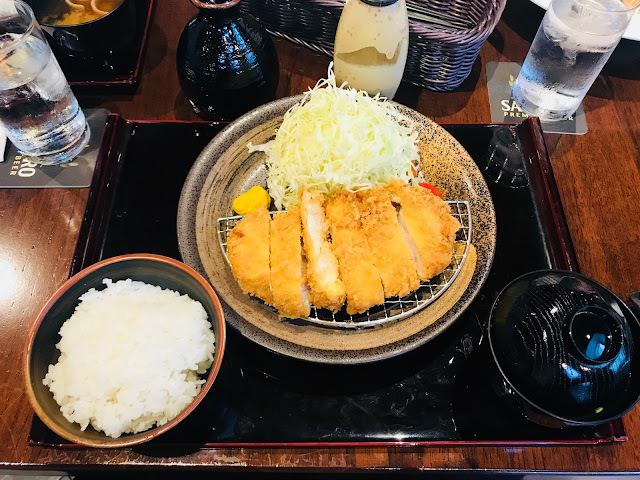 Chicken Katsu Set [$18] is one of the bestsellers where tender chicken is breaded and fried till golden brown. 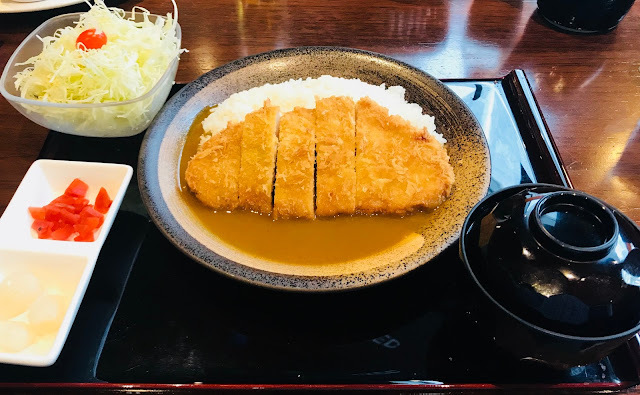 Served with chopped cabbage salad, premium Japanese rice and miso soup, the chicken katsu offers a satisfying crunch in every bite. 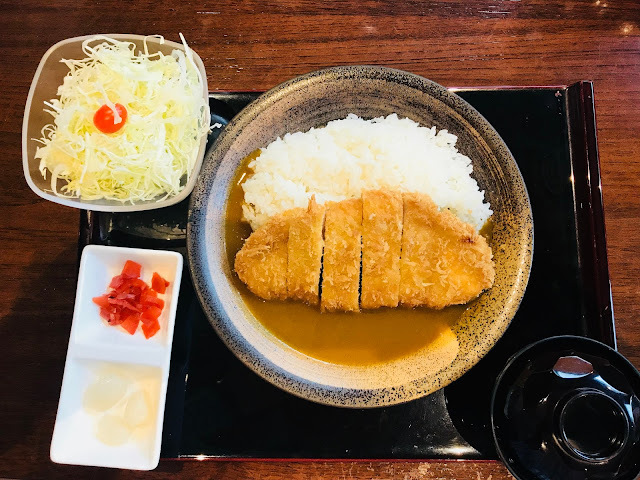 Top-up $2 to have curry sauce with your rice – Chicken Katsu Curry Set [$18]. 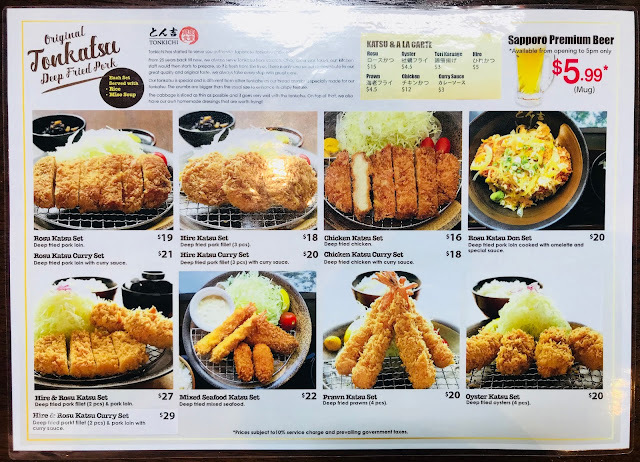 If chicken is too ordinary for you, consider getting the Rosu Katsu Set [$19] where a piece of premium pork loin is breaded and fried till golden brown. The well-marbled pork loin is extremely juicy and tender and the crunchy breaded exterior adds to the satisfaction. 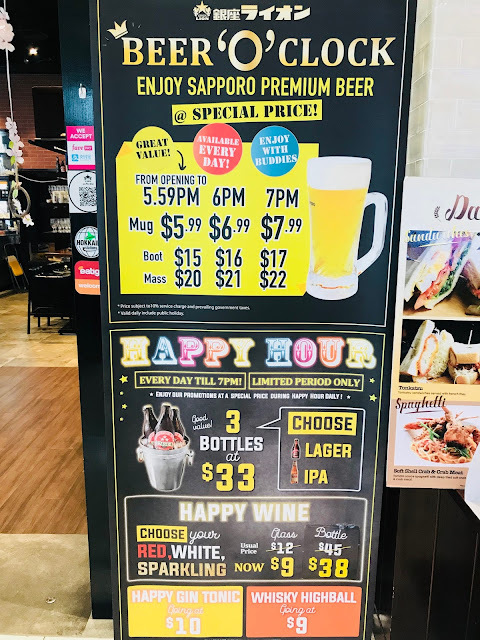 Top-up $2 for Rosu Katsu Curry Set [$21] for the curry with your rice. 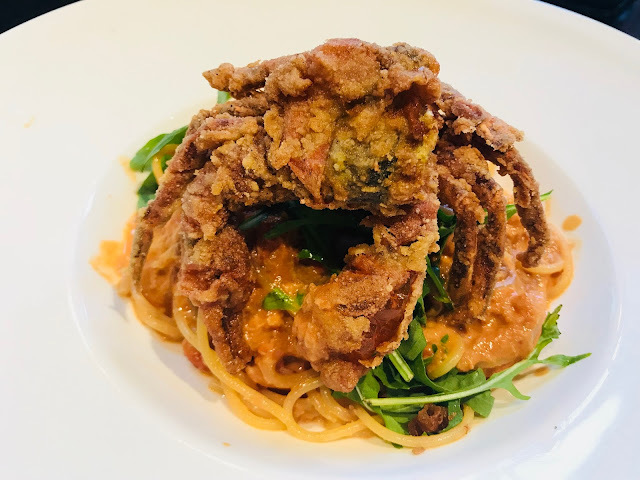 Combining the sweet crab meat with tangy tomato sauce is what makes the Soft Shell Crab & Crab Meat [$16] spaghetti dish so special. The slightly sweet and sour sauce goes perfectly with the deep fried soft shell crab that seats on top of the pasta. Ginza Lion collaborates with Rive Gauche (which means “left bank of Seine River” in French, to give your meal the sweet ending it deserves. 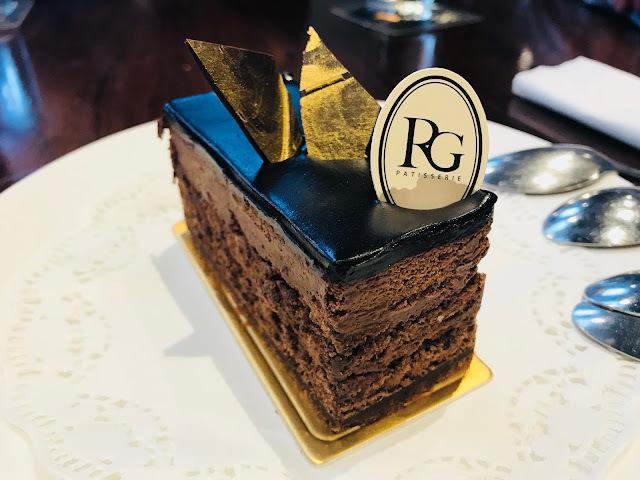 Guanaja [$7] is Rive Gauche’s signature cake and it happens to be my favourite cake too. Layers of chocolate sponge cake lie on top of crispy biscuit base and topped with bittersweet chocolate mousse. It is rich and decadent without being too sweet. 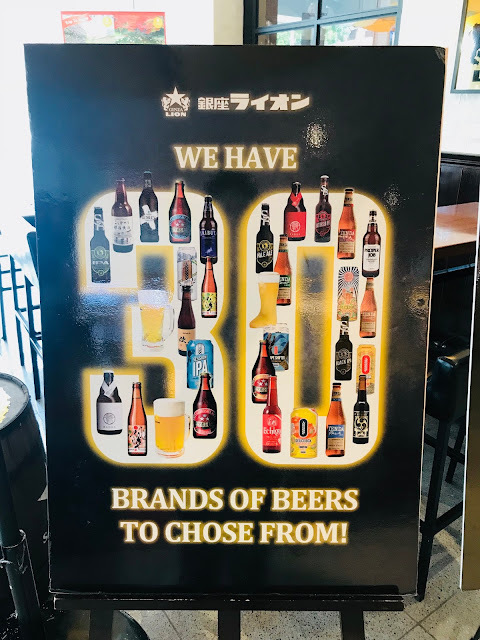 Besides Sapporo Premium Beer and Sapporo Premium Black Beer, Ginza Lion offers 30 brands of beer ranging from lager and ale to beer cocktails. 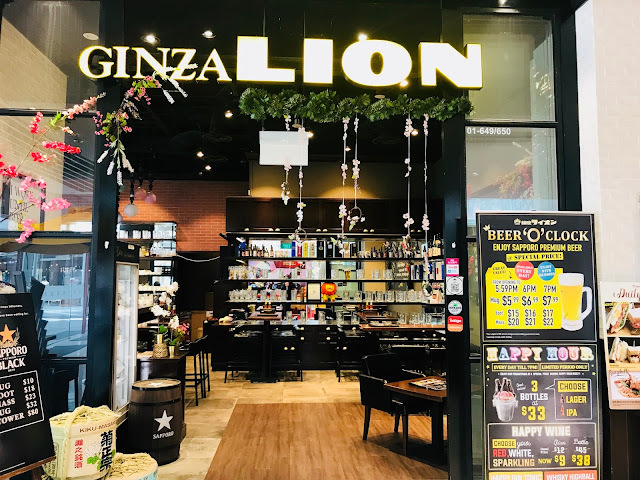 Ginza Lion transforms into a pub in the evenings, with offers such as “Beer ‘O’ Clock” and Happy Hour to help you save money while you unwind after a long day at work.